Boston Tea Party and Ships Museum. Scheduled to re-open June 2012. 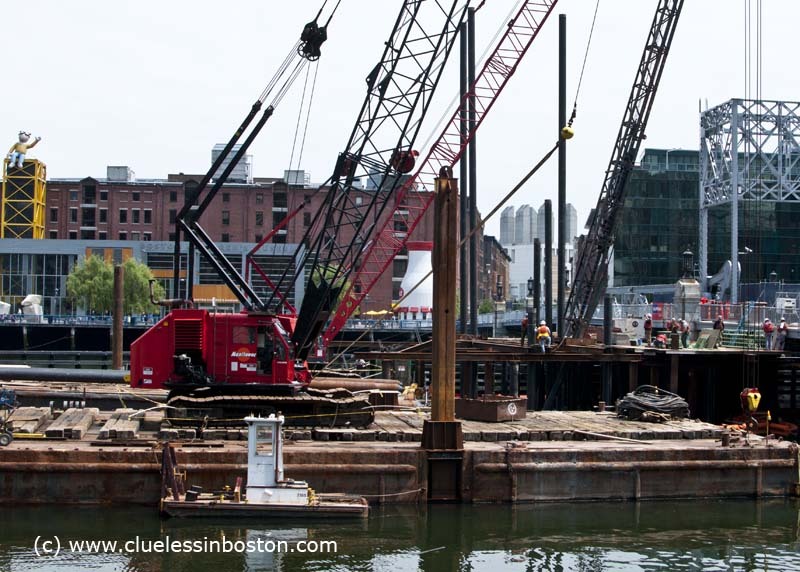 The museum will be located at Fort Point Channel in front of the Children's Museum. Note the giant milk bottle in front of the Children's Museum and Arthur the Aardvark on its roof in the upper left. That way some people might learn about the original tea party! Arthur is unknown in France. I'm wondering what's in the Children Museum.. toys, books, history of children in past times?.. What a clash of centuries! Great slice of history in the making. Would be great for your black and white collection, too. Love that little mountain of buildings in the background. Nice harbor snap! I see Arthur! Was there any tea floating in the harbor?? I like this view of it - it's different.